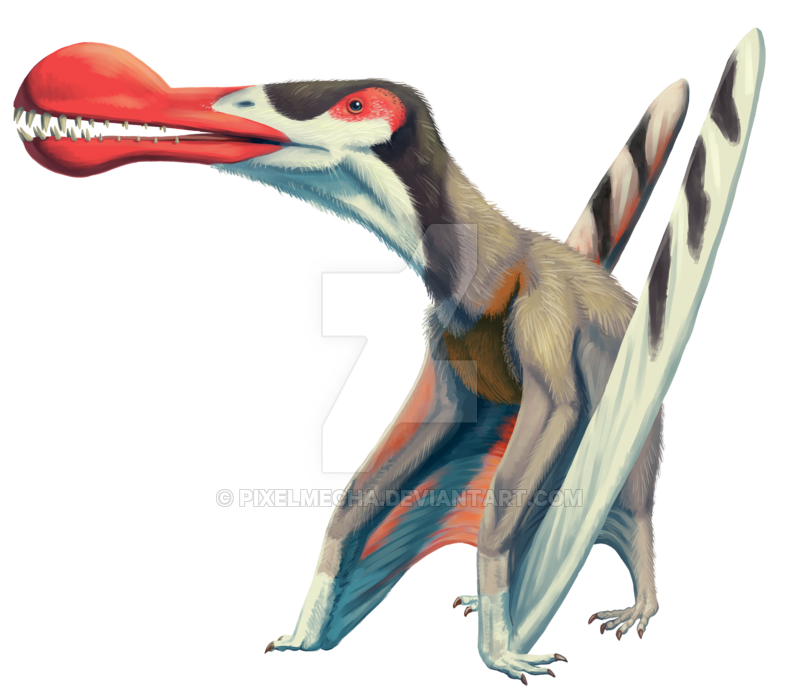 Ornithocheirus is a pterosaur which lived approximately 100 million years ago during the Middle Cretaceous Period. It was first discovered in the Cambridge Greensand in England during the 19th century. In 1869, it was given its name by Harry Seeley; A name which means “bird hand” in Greek. 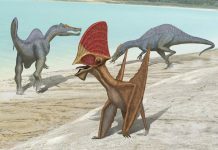 Ornithocheirus pictures show this pterosaur as sort of a strange looking flying reptile, especially its head. 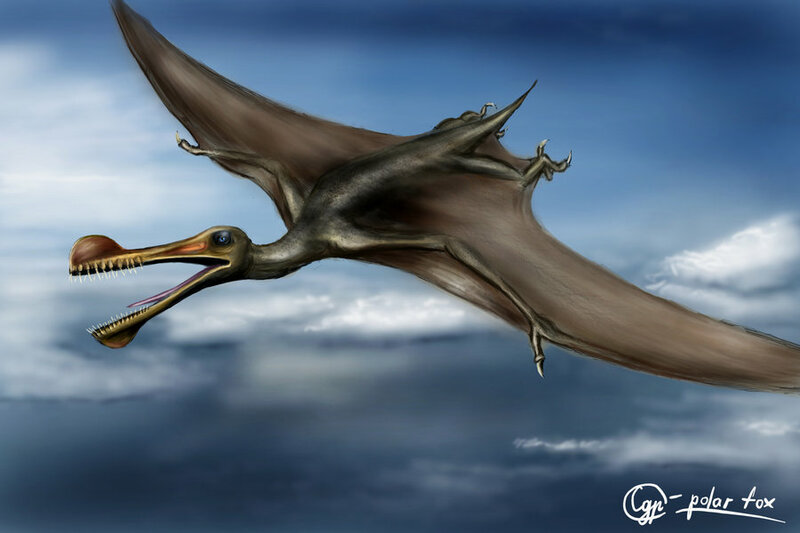 It had a crest that was not on top of its head, like other pterosaurs, but rather on the end of its beak. 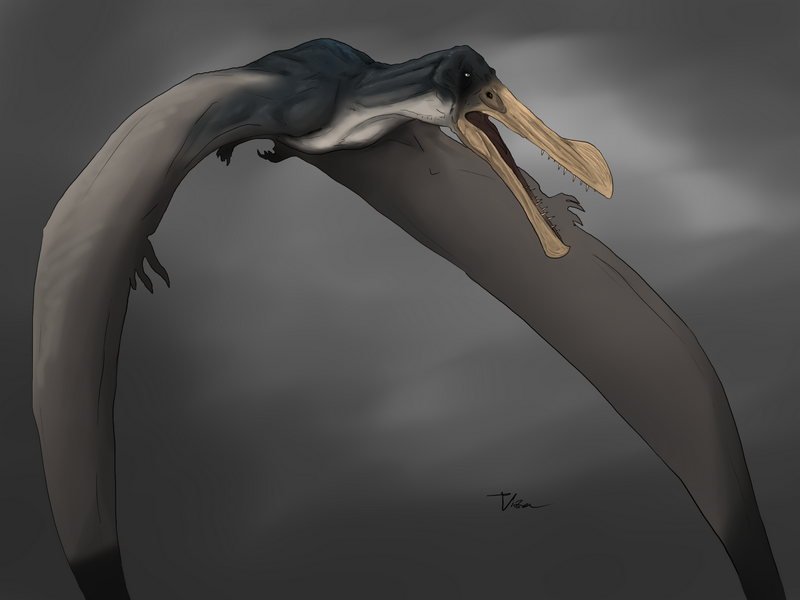 However, it not only had a round crest on the top of its beak but it also had one on the bottom of its beak. At the moment, paleontologists aren’t exactly sure why they possessed these semi-circle convex crests, but it may have been used to crack open the shells of crustaceans. Its beak also started out large and then narrowed at the tip. Paleontologists believe this was to reduce water resistance while it was skimming the surface of oceans looking for fish. 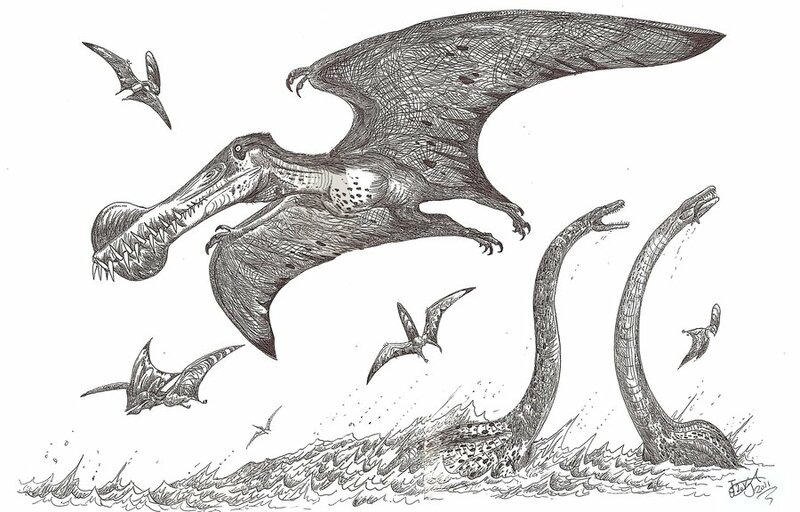 After all, it is believed that this flying reptile lived in coastal regions and flew over the ocean looking for fish. 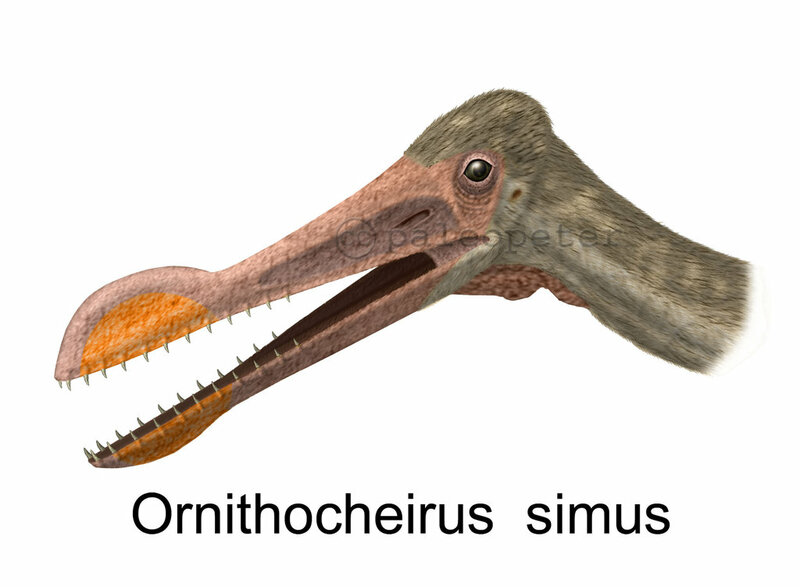 The structure of its teeth also points to this conclusion. 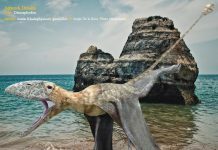 It has fewer teeth than most pterosaurs, which means that it probably specialized in catching larger fish. 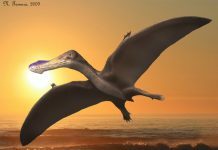 Ornithocheirus was approximately 10 feet long and had a wingspan of about 20 feet – or about 3 times larger than a bald eagle. 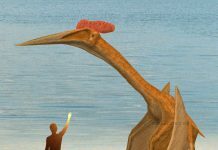 Most paleontologists believe that it probably weighed somewhere between 50 and 100 pounds. Which means it could have weighed as little as 3 bald eagles or as much as 6 eagles. 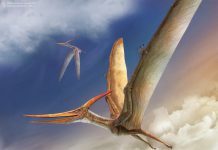 One of the most fascinating facts about Ornithocheirus, however, is that there has always been a bit of controversy surrounding this pterosaur. When Harry Seeley named it in 1869, he gave it the name “bird hand” because he though this animal was ancestral to modern birds. 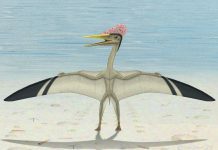 However, that theory was proven wrong when therapod dinosaurs were discovered to have been the ancestors of modern birds. You would think this controversy would have been solved by now but that isn’t the case because a new controversy has reared its head. 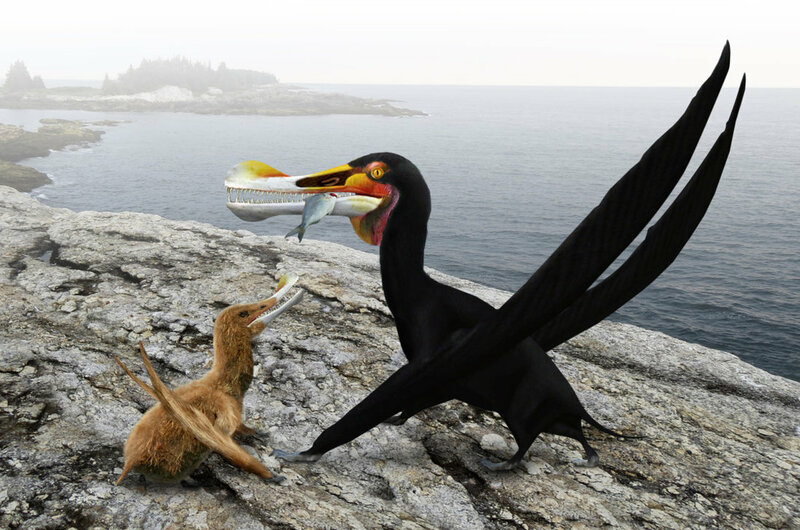 Many paleontologists believe that animals such as Tropeognathus and Coloborhynchus don’t belong in their respective genera but actually belong in this genus!